The City of Sydney today unveiled the creative identity for Australia’s largest public event, 2016 Sydney New Year’s Eve. Conceived by creative agency Imagination, ‘SydNYE’ sets out to capture the very best the city has to offer, not only as an iconic home of worldwide New Year’s Eve celebrations, but as a welcoming, inclusive and vibrant global destination. With the visual identity for 2016 Sydney’s New Year’s Eve created by local artist and paper engineer Benja Harney, the City of Sydney and Imagination have continued their commitment to nurturing local creative talent. 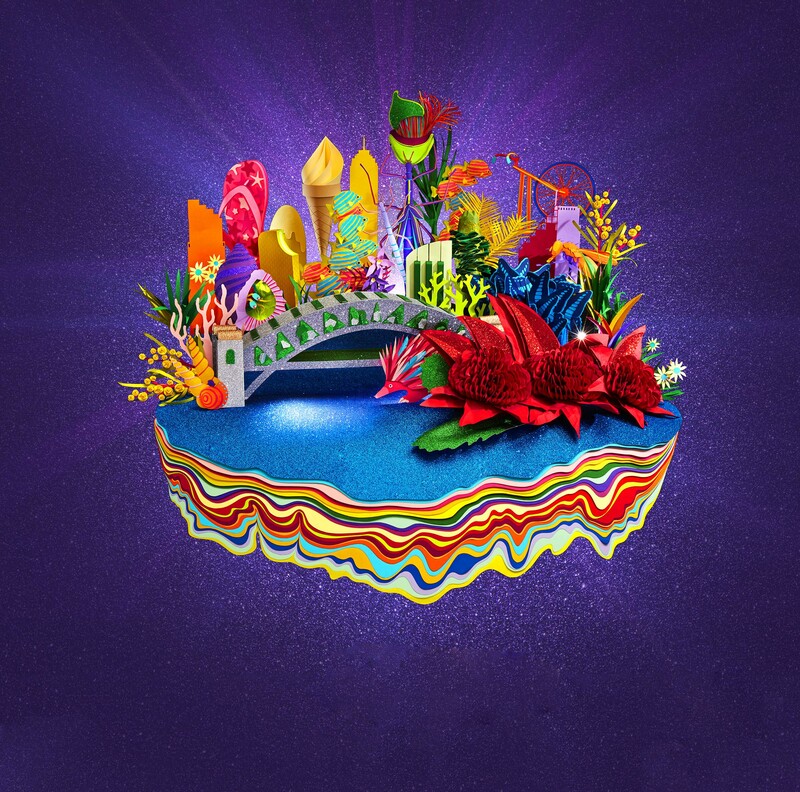 Featuring an exuberant artistic model of Sydney Harbour as the focal point of its visual identity, SydNYE playfully embraces local flowers, animals Sydney’s iconic buildings and harbour. The theme and visuals are designed to capture the welcoming spirit that Australia’s premier New Year’s Eve celebration has grown to represent around the world. Marking its sixth year as the creative team behind Sydney New Year’s Eve, Imagination spent 15 months and over 10,000 man-hours designing and planning work across multimedia and physical assets. The Sydney Harbour Bridge again plays a central role in this year’s festivities. The famous landmark will see an extra 2,400 fireworks launched from its coat-hanger structure this year, creating the largest Sydney Harbour Bridge pyrotechnic display ever. Imagination director Heath Campanaro said, “Having the opportunity to work with a global landmark like Sydney New Year’s Eve is a creative dream. With six years under our belt, our focus is on continual improvement, and putting on one of the best shows on earth. “Every year we have the privilege of helping the City of Sydney create the world’s most anticipated and viewed New Year’s Eve spectacle, and it’s something that we never take for granted. To be able to offer our creative team that opportunity is something so special, and something we all go so far and above on to ensure we do this amazing city proud. Well over one million people are expected to watch Sydney New Year’s Eve around the harbour this year and more than a billion will be watching from home around the world.